I’m not a fan of this box, but what I am a fan of is the swaps I’ve gotten from this box! I was able to swap things I have no use for and in return receive things I really really wanted. I thought for sure no one would want most of this stuff but I’ve gotten rid of everything I didn’t want. Plus I was able to swap for extra lumene and it’s a 10 from people who didn’t want that, so I’m pretty happy it worked out in the end. But… I’m still not going to trust this company in the future! Good for you, Bria! Glad that you were able to get something(s) positive out of a bad situation. As much as I would have liked to potentially do the same if it occurred, now I fear the swap market will be flooded with cast off items from this box. Worse yet, I still haven’t gotten a shipping confirm email or CS response to my angry feedback & cancellation request…. So I was one of those that was ready to jump as soon as they went on sale. The spoilers released beforehand looked great. Then I got the email and said no way. Out of curiousity I just checked and this box is still available. Three weeks later. I hope they take this as a lesson learned, especially after using “last year’s box sold out in 48 hours” as a promotional statement. I’d be willing to bet that next year this box will be amazing. Here’s to hoping! My box is stuck somewhere between FedEx and USPS since July 27th. No one claims responsibility. For Pete’s sake….the box started out about an hour from my town on July 24th. Last year’s box was so fantastic that I was all hyped for this one. What a major fail! I just canceled my TestTube sub. I figure if they are experiencing problems & can’t fill boxes properly, they don’t deserve my money. They need to earn me back as a subscriber. I know that folks seem pretty upset (and I totally get it) but for me getting the Grande Eye Opener Duo was worth the entire thing. I have paid $60 for the regular Grande lash (and trust me *this* stuff works). So, (for me) that made getting the box worth it. I have only looked at the other products and it seems to be worthy. So, I didn’t feel duped at all. With that said, I don’t want coupons or credit card offers etc. Don’t give me coupons & credit card offers IN LIEU of an actual product & think that it somehow adds into the RV. I need hard facts, not paper promises. 💡 I think it’s safe to say that WE have ALL learned our lesson when it comes to NewBeauty and the Beauty Choice Awards box. Personally, I was overly excited about this box as I was expecting something on par with the 2016 box. This year wasn’t a complete waste as I am getting a chance to try a number of products that I normally wouldn’t have gotten the chance to try. But, SMH there were more than the acceptable amount of disappointments from this box and this company. I will not be making the same mistake twice. I fully plan on waiting till I know what more than half of the items will be, the total value and the cost of the box before I ever purchase another Beauty Choice Awards box. I defiantly will not be subscribing to any of there subscriptions. I really hope everyone finds some value in there purchase/interactions with this company. That’s just it though, why so many were duped! The New Beauty Test Tube is awesome! I just don’t get how the awards box could have been so troublesome. You’d think they’d have their act together more than this! I got my box yesterday and I ordered the second day of the sale. My box wasn’t missing any items like some others have said. I wouldn’t be too upset about missing the pinrose because it’s just a one use pad. I’m satisfied with the products considering I bought it as a “discovery” box. I will try almost everything but I’m not sure I’ll purchase this company’s box again at this price. The Care credit “bonus” is ridiculous!! Anyone can apply for this credit card. If you want to purchase the dermaflash, Nordstrom has it on sale now. They have several other beauty devices on sale too that I’m trying desperately not to purchase. This box was so underwhelming and I totally agree with you re: the Care Credit ‘bonus.’ I mean really, a postcard in a plastic bag just saying “oh hey, you can apply for this credit card.” Last year’s box was incredible and had a nice variety of products. I am puzzled that they would think it’s a good idea to send 2 eyebrow serums and 1 perfume packet (skimpy). I’m excited about the Lumene essence but that’s about it. I got my box today. First, I ordered, canceled, then ordered again. I was exciting for it, but , when I got it two full items (sunscreen brush and towels) I cannot use because they are too dark for me. I can care less about offers (if anyone needs it contact me, I will give you for free). One item, some rose petal perfume, it is small foil packet, they should not counted as an item. I will try other remaining 13 items, but they are mostly sample or delux samples. The vitamins, they give you huge bottle, but it is only filled 1/4 of it, what a waste of container. Anyway, I am glad that I bought it, but would I get it next year – NO. I am so disappointed. It feels like 95% of the items are “deluxe” or sample sized. I can’t help but feel a little ripped off. I don’t want to be negative but I just can’t believe that some of the items included were added to the overall value of the box. A coupon?! Really? $2.50 estimated value for a one time perfume search? Come on guys. I hope the folks at Newbeauty take the time to read these reviews, learn from them and perhaps address everyone’s concerns. TestTube is a great subscription overall and I don’t want to see their entire brand damaged by this particular failure. The 2 items I’m most looking forward are the brow & lash serums. I’ve had good results with these types of products, so here’s wishing! There was no credit at all. It was just an ad for a credit card. Major fail! I still don’t even have a shipping tracking…. Mine was missing the brow serum also. Frustrating. I got the GE Care Credit card almost 8 years ago which I opened up at an animal hospital when I had an astronomical bill. They are a good credit card and you can defer interest etc. It can also be used at dentists and dermatologists etc. 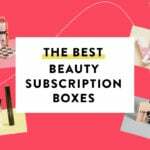 This offer seems to be if you apply for and are approved for a credit card then they will give you a one year subscription to New Beauty Magazine valued at $29.95. They come out 4 times a year and are $10 an issue. Read For The Cure has a one year sx for $10 available. I subscribe to the Test tube already, which comes with a subscription. I have a care credit card already also, it is a good card & I opened it when I neeeded to pay for my LASIK. So this is completely useless for their regular subscribers. I wish they’d have given us something useful to everyone. Apparently my order was cancelled, even though I kept receiving emails that my box had been shipped. Got mine yesterday and opened today now I’m reading these comments and realizing just how screwed I am with this box! I’m sooooo disappointed boooooooo new beauty! But why? Were you happy BEFORE you read our comments? FYI to my fellow gluten intolerants – those Neocell supplements contain wheat. Maria, I too let mine sit unopened and I finally caved. I was pretty satisfied with mine, despite knowing it is NOT as great as last years. Nothing was missing and even though the sizes aren’t full, they are a great size to try as I wouldn’t buy these without trying first. Hope this helps, best of luck! I was wondering if anyone had actually received their much ballyhooed box yet. So, not only is the box “meh,” but they’re also screwing up the contents of what?!?!?? I’m still waiting to get a shipped email. This is ridiculous at this point so I emailed them to cancel the order. Have you heard back from CS regarding your cancellation? When I tried to cancel over a week ago, they told me it was too late. BTW, still waiting for a confirmation/mailing notice. I learned the hard way my order was automatically cancelled, even though they never bothered to tell me. If your card hasn’t been charged yet, it probably happened to you, too. At this point, with all these screw ups, I consider it a blessing in disguise that these people are so incompetent. After all this hassle, I don’t want to give these people my money, and I will never purchase anything from them again. What a stressful, irritating disappointment. I got my shipping on 7/24 in my email and got it about 7 days later. I am in Chicago. Well, I bought two boxes within the first hour it became available because I did not want to miss out again this year. I still do not have my boxes but I’m really hoping I’m not disappointed after reading these comments. Update: brow serum and coupons are missing out of one box, but not the other…. almost as if they assumed I wouldn’t notice. I’m going to contact them tomorrow as a great deal of the value of this box is in the eyebrow/lash serums. Not one but two hair thickener/texturizers? Argh! Happy with the it’s a 10 leave in though. Gonna wait to see what’s in next years box before I buy again. $120 lesson learned, lol. I’ve subbed to New Beauty test tube for 6 years so I assumed the value would be on par. Well, I’ve just got my package in the mail. I know a few were wondering about pictures and sizes…and we can’t really post pics here so the only thing I could come up with is my Instagram. My page is public so just send me a dm and ill share my pics. Lol, you dont have to follow me……just find me by name and I’ll share. P.S. my pinrose was also missing so I’ll be contacting customer service about that. I’m looking forward for the review MSA does on this box. I hope it’s extremely honest about the ENTIRE experience from payment to arrival to product experience. I’ve had a shipping number since last Friday, but usps still says it hasn’t been dropped off at the facility yet. The head office is a 5 minutes from my house, maybe I’ll just walk over there and pick it up?? That’s exactly where I’ll be walking to return it, because I’m not paying return shipping on this mess. ahahaha! You totally should. I wish I could do that. I’m going to have to email them too. The dermaflash offer is just a generic offer code for $40 off. Nothing specific even. I hope they get you all your missing items quickly! My box was missing the Pinrose as well. I’m not sure if it was an oversight or if they just ran out. I’m starting to get really angry that so many people are already receiving their boxes, but my credit card hasn’t even been charged yet. I ordered mine on the morning they went on sale. CS hasn’t responded to my last several e-mails. What kind of fly-by-night business is this?! How are they deciding who gets their box when? Any why do they just ignore e-mails from customers? What is wrong with these people?! I’m most likely returning when I finally receive mine. Based on comments I’m seeing, it definitely doesn’t seem worth the price now we know what we know. But I will get an Allure box! I wouldn’t base it on the comments on here. I’d base it on -> is the box valuable to me? It’s a good deal, but if you were expecting a dermaflash or another product not in the box, you are disappointed. I realize people feel like they were misled, but all these boxes have an element of “it could be a really good deal or not this crap again”. When do we get to return or demand a refund on those because we felt had/misled/etc? I think people are fortunate that they could get a refund if they wanted it. And if the box is great next year? I believe a lot of these NEVER AGAIN people will be back. 1) Make sure you have what you say in the box in all the advertisements/spoilers. 2) Make sure it’s got a great value. 4) Bring the price down a little. Much <3 Beauty Box Peeps! Renee I totally understand where you are coming and I agree. For me personally I feel like $60 for just deluxe size samples as a majority with a ‘care credit’ unreasonable. I don’t feel mislead on the dermaflash, just really disappointed compared to last year! Yes, I can see that. Last year’s box seemed amazing, while this year’s box seemed ok. I think most of expected more. YES! What Jenn said is where I’m coming from. I got the last box & loved it. In general I’m happy with TestTube too. But this go round, I realise I may have hit “purchase” based on previous feelings, hype & IG posts which LED us in a certain direction, ie; Dermaflash & Skinmedica. I got my box today!! So happy with everything! Instead of the It’s a 10 styling potion, I received, It’s a 10 miracle instant repair leave-in, which I would rather have because I don’t use styling cream. Overall, I am very happy with this box! I’m not mad with NewBeauty at all, as I knew the Dermaflash was not going to be in the box, and that the Skinmedica wasn’t going to be in the box either. They showed the picture with all the products, and neither were included. Same here. I got my box today. Overall I am happy. Nordstrom has great deal on Dermaflash. $126.00 during Anniversary sale. If you order online you get 2 extra exfoliating edges. I don’t think there is a way to post photos? Not sure though…. For everyone regretting their purchase, it helps to think that the price is like 2.5 months of BeautyFix. And the total contents of this box (and the proportion of sample sizes to full size) are about equivalent to 2.5 months of BeautyFix. That’s how I’m putting it into perspective. I am disappointed with New Beauty as a company though. This box is a joke. I mean, we have to laugh. Right?!! I am no longer excited to receive this box but I am still enjoying this MSA discussion because at least we are in this together! I was excited for the lumene serum because I usually buy that in Finland and it’s $24, plus I am eyebrow challenged (blonde problems) so that is actually useful for me. I was planning to buy the Lumene anyway and will use the brow growth, so I guess for those two things I’m happy but talk about false advertising! We are definitely in this together!!! At least I have a use for all these brow products, but I really feel sorry for anyone who was blessed with perfect brows and this is their ‘big ticket’ item in the box. Does anyone know if we can return the box? Mine is in the mail now but after reading these comments, I want the $60 back. I didn’t see anything about returns on the website…. Someone posted that you could return it, as long as its not opened? I’ve had a FedEx tracking number since last Friday but it still says it’s not shipped. This company isn’t getting any more of my money, and I had two test tube subscriptions! I was looking at that ‘Beauty Report’ review that happened a few months ago for $30, and it was ALL sample sized. None of it was full sized besides the first handful of buyers that got the Dermaflash… People were mad about that in the comments. So, this box does have some full sized which helped me feel better. i got box c, no dermaflash but a ton of full size products! i wish i would have purchased like six of those! I got a C box & I was very happy with mine. I eventually got a Dermaroller in my BF sub which was the one I really wanted anyway. Moral of the story….COMMUNICATION with your customers (new & old), increases the satisfactory of customer service. NewBeauty should really take note. Having said that I received the beauty report box A with the dermflash and the bonus item and I think that was the best deal EVER and glad I was a part of it at $30…..thankful I didn’t fall for this and sorry for those who feel misled ..what with THE entire box filled with deluxe samples and clearly a box directed towards the brow- less girl … I am brow-ful thank you need to get them Taken off twice a month!!! Never again. I really wanted this to be good, for New Beauty to wow me and giving me an excuse to subscribe to TestTube. But they went the complete opposite direction. I don’t know why I’m still holding out hope that they’ll make this right. At least I know if they ever do one of these again, I’m not buying. Wish I had saved my money this time. I wonder if New Beauty is under new upper management or ownership? Last year’s box was absolutely incredible and customer service was incredibly helpful. Now, I can’t seem to get any sort of answer from CS and this box is mostly samples and more expensive than the one last year. I was hoping they’d really strive to redeem themselves after the disaster that was the Beauty Report Box, but now I’m thinking there must be something going on higher up the chain. I’m about to just go ahead and cancel my TestTube subscription too if they don’t find a way to address concerns and complaints over this box. It’s so sad it’s becoming slightly funny. Can someone please hjelp me with this. The photo says Care credit a $29.95 value. Is this a credit to use to an existing account or can it only be used for a years subscription to NewBeauty? Looking at this card and the value, im really at a lost as to how this couldn’t have been offered for the same $49.99. Seriously!! Let’s think about this. The $40 off the dermaflash literally cost Newbeauty nothing to include in this box. Companies like Dermaflash will make tons of money by providing a coupon for $40 off an item that $150+ with future purchases on replacement blades. And, the fact that the pinrose has a value of $2 is just sad when a deluxe sample is $12. They’re including a wetnap with a scent?? DEFINERLY MY FIRST AND LAST PURCHASE. SMH!! Exactly!! And, I haven’t received mine either but have been doing nothing but clicking on these items to see what’s what and with a quick Google search of the item themselves, the item list price on the card look a bit inflated. Keshia I’m feeling the urge to nibble on the July/August Allure Beauty Thrills since this box disappointed me so….what do you think? Honestly, that one looks slightly better than this bit I’ve been through such a big hassle already I’m exhausted. I’m really really on the edge of returning it when I get it in the mail. I’m so ready to save my money for the Sephora sale in November since in rogue, plus I’ll be attending Generation Beauty in NYC in Sep…..and I’m positive $60 Will go far with TONS of freebies. I’m sorry to say; NewBeauty really ruined yearly boxes for me. I’m extremely cautious before buying anything from them again, and I’m getting plenty from ipsy and my Play! box as it is. The CareCredit thing is just a code you can use to get a free year of their dumb magazine when you sign up for a care credit card. How useless. I am upset they considered this in the value! Oh. My. God. We paid $60 for this?!!?!? Ooops, I left off the full-sized RevitaBrow, which is a good value! Still, I guess I thought some of the samples would be a little bigger. I lied…the RevitaBrow is also a deluxe sample, but they say worth $58. Ya I calculated a little under $400 too…they must have rounded up. Wow, four hair products, two brow products, and two sunscreens…that’s 1/2 the box. I have nobody to blame but myself, but I sure wish I didn’t get carried away with the hype on this box. I’m mad at myself for ordering one, and even more upset that I ordered two. On one hand, I’m excited to explore new products, but still, this experience has left me feeling kinda foolish. I put more thought into picking out bottled water. Well, and two of the hair products are dry texturizers. Two hair products are. The. Exact. Same. Thing. I keep picturing myself with insane Albert Einstein hair and shaggy brows an inch long. I guess I could use one texturizer spray just on my luxurious brows… lol. I should have seen this coming when they made such a big deal out of that crappy cheap Jersey Shore eyelash curler in the last test tube. Ashby, don’t feel foolish. We are all in the same boat. I ordered, then called and canceled. Then two days later ordered again. Now waiting for the box :(. I am excited for new product to try, but I don’t think I will be buying this again, due to so many misleads and misrepresentations. I’m pretty happy with everything in this box.. I can’t wait to get mine. I should have it by tomorrow! What are the two amazing offers? Nevermind I see the offers. Any idea if you can use the New Beauty care credit for the beauty tube subscription? The back of the card flyer says the CareCredit card is for making payments on “Aesthetic surgery and minimally invasive procedures” and “Deductibles, co-pays, and other costs not covered by insurance.” If you activate the card, you get a sub to New Beauty mag. So does the card have no value on an existing Care credit account? If anyone knows…. Honestly, I don’t think this thing has any value at all…you still have to apply for the card. The flyer says to go to carecredit dotcom/alist for details. I think it is just an advertisement for a credit card. It has no real value. Has anyone received their shipping confirmation? I ordered this the moment it went on sale (regrettably) and they’ve yet to send me any additional info or respond to emails. I haven’t checked my email in awhile but hadn’t seen either a purchase confirmation or shipping notification so I just checked my bank account. They have recently charged my credit card. Sounds like from other people below that they just started shipping out boxes in the past few days…. Yes, mine was shipped yesterday and it is in IL right now. Scheduled delivery 7/31/17. Well, at least those of us who purchased will be able to see if we can grow our brows and eyelashes. We should all start a Before and After discussion on the forums. How lush are our eyebrows gonna be after using all this brow fertilizer?! I can’t wait! If after 30 days i can’t French braid my brows & lashes together I’m suing for false advertisement. I don’t see that I’ve been billed for this yet. I’m debating whether I should ask if it is shipping or just let it go and take it as a sign that I should have saved the $60. There are a couple of items I would like to try but…. not sure the whole box is worth it. I ordered on the day it went on sale 7/12, just got billed last Thurs 7/20 and just got shipping email on 7/24. Jsyk, I believe the Neocell is the fifth full size item. There are total of 16 items and 2 coupons (carecredit and dermaflash). Back on the first day of the sale, I bought this super early in the morning, based on the customer excitement about last year’s box and the spoilers that had been released by the company. When I commented here about my excitement over the Dermaflash, someone informed me it wasn’t in the box and when I expressed my dismay, others told me I was wrong to be upset, that I should have read the fine print, it was never promised, etc. I’m really glad now to see that many other people agree that the box was deceptively spoilered by the company. I still have my Beauty Test Tube sub, but I’m only one unhappy away from cancelling it. Amazing how badly they screwed this up, and clearly it hasn’t sold well. Total waste of fantastic customer buzz on the company’s part. It will be interesting to see if they learn from this or not. I got caught up in the excitement from the comments about last years box, as well. A few minutes ago, I went back to look at the comments on last year’s review. They had many problems with customer service back then. I wish I had checked the previous box out better before just listening to those who posted on the 2017 box about how great last years was. I’m disappointed with this company and its lack of CS, bait & switch tactic with the items included (like Dermaflash!) and slow shipping. I will never sign up for their sub nor will I fall for next years box. is Dayan here? Can you please confirm if skinmedica was in your box or not. Thank you. Hi, I don’t have access to my box now, but I don’t think it’s in the box. Everything in the box matches what’s on the info card. I’m sad to see that skinmedica is not included- I thought a sample would be. Chiming in to say there’s no SkinMedica in my box, nothing other than what’s listed above! While I am not unhappy with the products, or even the price, I am really unhappy with the shipping & customer service. Originally, they said boxes would ship “on or around 7/12”. That’s kind of vague, I know, but I was hoping that meant sometime that week. When I didn’t hear anything by 7/19, I called & was (nicely) told that it looked like my box shipped on 7/18, but that she couldn’t find a tracking number yet…that it just hadn’t been updated in the system yet. She also said the reason they waited to send them out was that they wanted to give people time to cancel their order (which I’m sure people who DID cancel are happy about, but for those of us who wanted them, not so much. Not sure where their logic was on this.) So ok…I’m waiting for tracking info and here’s where is gets really weird. On 7/24, I get an email stating my package shipped (past tense) on 7/25 (one day in the future). Um, ok…I’m thinking that means that’s when it’s planning to ship but I click on the tracking link anyway, which says the label was created on 7/19 (the same day I originally called & was told it had shipped the day before). I checked again, yesterday 7/25 and it hadn’t moved. Finally today, 7/26, it has moved and it due to be delivered 7/31. I haven’t even mentioned the 3 emails I’ve sent to CS to inquire about the shipping status that have gone unanswered. Honestly, they could’ve solved ALL of this for me by originally stating that orders could take up to 2 weeks to ship. And then not given me, and everyone else, conflicting/untruthful answers about when they did ship. Now I won’t even be home for a week after this, finally, arrives. I bought the box mainly because of the Skinmedica which we found out is NOT in the box. I was hoping there would be at least a discount offer for it??? There are a few other items I will enjoy trying but I am still a little disappointed. What happened to the 5 full size products which should have a value of over $230? I only can make out 3 full sized product, did I miss something? Neocell Vitamins is the fifth product. I wonder if they’re counting the grande as 2? It’s one yes. It it has a full size of the eyelash AND a full size of the brow? I really hope not. I wish they were separate products. I would love to try the lash stuff, but my brows are too thick as it is. If it is a 2-in-1 product, then I can’t regift or swap the brow portion, and this would be such a waste! They can’t count it as two full size items if they can’t be separated, can they? But then again, with all the other shady things they have done with this box, I shouldn’t be surprised if they did. The strawberry rubarb exfoliant says deluxe size $11…. Obagi is not full sized. I only see 4 full sized items. I see 4 full size…with a value of $212.95 not $230+. But I also only see a total of 15 total products…with a value of $374.45 not $400+ (not including the CareCredit, Dermaflash and Neocell “offers”). So something seems to be missing…. As someone else mentioned below SkinMedica keeps showing up on the MSA list but not in the pics…but I doubt that’s the missing full sized item. LOL. The 5th full size is the Neocell. It has a $2 off coupon but it’s full size. Took me forever to figure it out. I wondered that but it’s also listed as bonus….is just the additional coupon the bonus part then??? ^ This – so, not even 16 products (not counting bonus) or 5 full sized items? Can anyone at MSA comment on why SkinMedica keeps showing up on the list? A poster on the other thread said there is one single towelette in the box. I don’t see how that could possibly count as a full-size item! Well, I guess it’s not a towel ripped in half!!! Ahahahahahaha. Sorry, I’m not laughing at you, I’m laughing to try to lighten the situation….I bought this box too so I’m right in the thick of it. I’m hoping I don’t regret it too much when I actually get it…. LOL. Right. I just looked again and they are claiming a value of $30 for the towelettes. It better not be that expensive for one, let alone a half a one!!! Last year, they (eventually) included the full box of the towelettes, and that was (obviously) counted as full-sized. Last year, they advertised the full box, but only sent people one towelette. They eventually made good by sending the full-box to everyone, but that was a whole event in itself (see the comments on last year’s box). I wonder if that’ll happen again this year. You would think they would have learned their lesson from last year’s fiasco, but this seems to be worse. They told me my box shipped a week ago, but I still haven’t received a tracking #, still haven’t been charged, and now they have not responded to my last two e-mails. Happy with my purchase as well!! I am relieved that I did NOT buy this. Thank you to everyone on the site who has shared their candid experience with this company. Wish I had cancelled when I could have. So glad I did not order this. What the what? That Grande Eye Duo retails for $134.95. Yes but, click on the link and you should see a 50% off offer pop up. So, more like $67.50 value. I don’t see the skinmedica anywhere, I guess that was just more false advertising? This box is really disappointing and I’m cancelling both my test tube subscriptions. I like those boxes but I won’t give any more money to this shady company after this box! You are right, I do not see skinMedica on the card either. My box is shipped two days ago. I was feeling down by this box, but I think it is going to turn out just fine. Glad that I bought it. Me too. I think it’s going to be a good box.